Animal Health Services has been helping the pets of St Catharines and its surrounding region for the past 38 years. In May of 1975, Drs. Carl and Anne Croy purchased Swan Animal Hospital which was one of the earliest established veterinary hospitals in the area. The Croys relocated the practice to its current location at 298 Lake Street in May 1975. 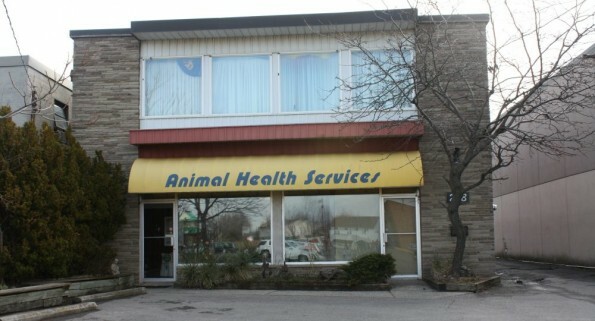 Several years following the move, they changed the name to Animal Health Services. Throughout the years, we have continued to develop close personal relationships with the pets and their families that we have served. We continue to enthusiastically welcome new pets to our practice, where we take great pride in the commitment of high quality and compassionate veterinary care. We provide a variety of veterinary medical services for dogs and cats in St Catharines, ON and surrounding areas.